← An idea gone wrong? when you are reading a good book, a day is just too short. 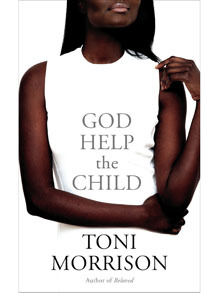 Compare to her earlier books, Toni Morrison adapted a more contemporary writing style in her latest novel, God Help the Child, which was released earlier this year. Even though it is written in a more mainstream style, from her attention to detail and unique choice of words, you can still feel that this is undoubtedly a piece of Morrison’s works. Though in my opinion the storyline seems a bit loose, it is still quite a powerful story worth reading. Like other Morrison’s works (I haven’t read them all yet), the novel bears a heavy sense of tragedy and certain scenes could be quite challenging that the characters are likely to hover over your mind for days and days. You’ll surely need time to absorb and process before reading the rest of the book. So be prepared if you are to read it. This entry was posted in Read. Bookmark the permalink.